ADDCO anti-sway bars reduce body roll and understeer resulting in a safer, more balanced suspension. Bolt-in ADDCO sway bars are a direct replacement for thin, weaker factory Ford sway bars. Made from hardened & stress-relieved high carbon steel with a forged & countersunk eyelets. Hardware includes heat treated 5,000 lb. end-link bolts, zinc chromate coated brackets, double beveled urethane bushings and plated, cupped washers. 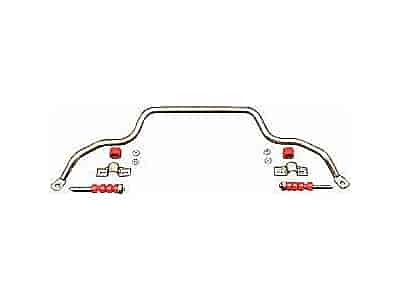 Get a sway bar for your Ford, Lincoln or Mercury to improve your driving experience. Does ADDCO 708 fit your vehicle? 708 is rated 5.0 out of 5 by 1. Rated 5 out of 5 by Cavin from Well worth the money The Addco sway bar looks great with the black powder coat and installed beautifully. I have not used it on the road yet but I have confidence in the quality.